We have answers for you. And we’ll also delve into how collections work, and what you can do to bring your score back up. Credit scores are highly important. Not only can they help you get mortgages, loans or higher card limits, but they can also help if you’re seeking employment. Some employers might look at your credit score before they even consider hiring you. Due to this, many of us work to boost our credit scores as much as possible. Every time we view a collection account on our credit report, we cringe from knowing these accounts have a negative effect on a credit score. Those accounts show up each time a collection agency reports debts to credit bureaus. The resulting effect it has on a credit score is usually devastating. However, there are a few ways to avoid collecting accounts from damaging your credit score. Keep reading to discover how collecting agencies work. This means if the debt is over $1, it does not matter how much you owe. Instead, the debt impacts your credit score the same way, regardless of how high the dollar amount is. For instance, if you have a debt of $200 and it lowers your score by 50 points, a $100,000 debt would drop your credit score by the same—50 points. The biggest hit to your credit score will occur when that first collection account reports. Each additional collection will have more of a marginal impact. As long as the collection agencies are not continuing to update the account every month, the score impact will lessen over time. The date the collection debt shows up on a report is very significant. For example, a debt may have been defaulted on with a bank in 2011, but when it got sold to the collection agency in 2016, they will report the open date as 2016. That date does affect scores – the more recent, the more negative impact. A collection account is a derogatory “event” on your credit, regardless of whether it is paid or unpaid. Ninety-five times out of one hundred, the payment of a collection will have zero impact on scores (payment of an original creditor account is very different – we are just talking about third party collections here). Further, if the reporting of a collection has not been updated at all for two or more years, paying that collection could drop your score because the date of last payment will become current. But yes, there is a way to pay a collection AND have it improve your scores. Keep reading. Are medical collections left out from your credit score? No, not when you’re dealing with FICO scores. Many argue that medical debt is separate from other kinds of debt. This is because it is often beyond your control. Also, it can drop more than 100 points off of your score, and can stay on your report for 7 years. The current FICO algorithm does not differentiate between medical collections and any other type of collections – they all impact scores equally. Some of the confusion which arises regarding medical debt is due to the fact that when you are getting a mortgage, medical debt may be subtracted from your Debt-to-Income Ratio. But that is separate qualification criteria that has nothing to do with FICO scores. When contacting a collector to settle, you should always try to get them to agree to a “payment for deletion.” There is a good chance it will boost your scores. The only way to know in advance of calling to settle, is to run a “what-if” simulation. Basically you will want to run a scenario that shows how many points you would gain if you paid the collection (typically 0), versus how much your score would increase if the account was completely removed. There are two options that can provide you this information: 1) if you are working with a mortgage company and they have pulled your credit in the last 30 days, they can run such a simulation; or 2) you can sign up for www.privacyguard.com and run the analysis – this three-bureau monitoring site has excellent simulation capabilities. The scores are consumer scores, not FICO, but the question here is which collection(s) should you try to pay or delete, based on the potential score improvement you may see. Of course, there may be other reasons for you to pay a collection you believe you owe, but if you are looking for a score improvement, follow the instructions above or call us – we use these tools all the time. Not all collection agencies will agree to a payment for deletion. These agencies have contracts with the bureaus to pull and report credit. The bureaus don’t want collections removed from credit reports (for several reasons that tie to protecting their business model); if the bureaus see too many deletions, they can stop doing business with the collector (which means the collector is out of business). If you go through the simulations above, you will know whether deletion is required and it will help guide your decision whether to pay. Remember, collections will fall off your report 7 years from the date of your first missed payment with the original creditor. It doesn’t matter how many times the debt gets resold, unless the collector re-ages it (which can happen). Furthermore, every type of debt has a statute of limitations for collection (which varies by state and type of debt) where, when reached, you are no longer legally obligated to pay. Knowing whether your debt is time-barred will help you in settlement negotiations. After 180 days of no payments, a creditor thinks you will not pay anything at all on your credit card bill and they charge-off your account. A charge-off is a highly detrimental entry that stays on your report for 7 years from the date it first became delinquent. After an account has been charged off, creditors often utilize third party debt collectors to attempt to collect a payment. The original creditor may continue to own the account, but assign it to the third party for collection. In that case, only the original charge off with the balance will be reporting. However, if the creditor sells the debt, a new collection account will report to your credit file, so now you have two major negative items all on the same debt: a charge-off (with zero balance) and a collection (with a balance). It takes a toll on your credit score. It’s a good idea to consider settling with the original creditor before they sell the debt and the collection account shows up. Payment should also stop any further account updates and allow the charge-off to age. The more severe the delinquency, the more money that is past due, and the more recent the collection all produce a devastating hit to your credit score. If your credit scores are in the 700s, the first collection can cost you well over 100 points. If you have lower scores and other types of negatives, the new collection will have less impact but it will still be significant. Since the FICO algorithms are extremely complex, and the details of how they work are kept highly secret, we cannot describe exactly how many points your score will drop due to a charge-off or a collection. However, it will most likely amount to a lot, and you can always run the what-if simulations described above to find out for your particular case. Overview of Collections: How Many Points Will A Collection Affect Your Credit Score? Collections can happen to anyone, whether you are already responsibly managing your credit or if you have arrived at difficult times financially. The trick is to rebuild your credit, and Go Clean Credit can help. 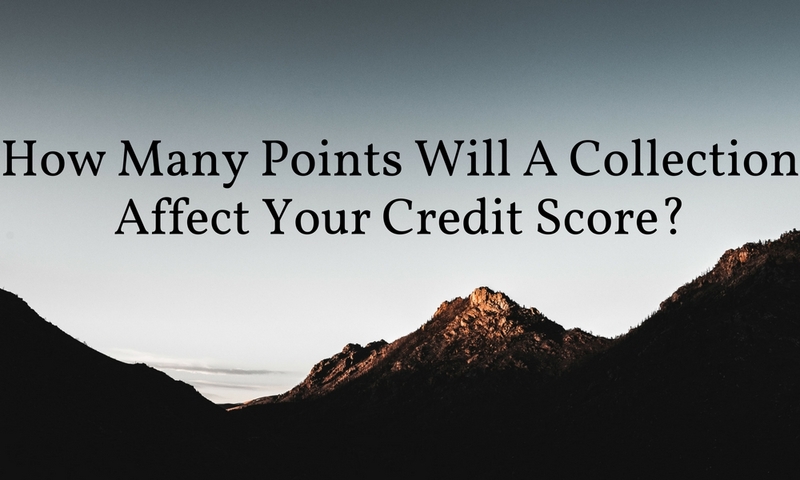 Need to know more about how many points will a collection affect your credit score? Let us know! To enlist the help of a trustworthy, effective credit repair company, contact Go Clean Credit today. If you’re looking to enlist the help of a credit repair company to help boost your credit score, you might also be dealing with some level of debt. The good news is that you have options. 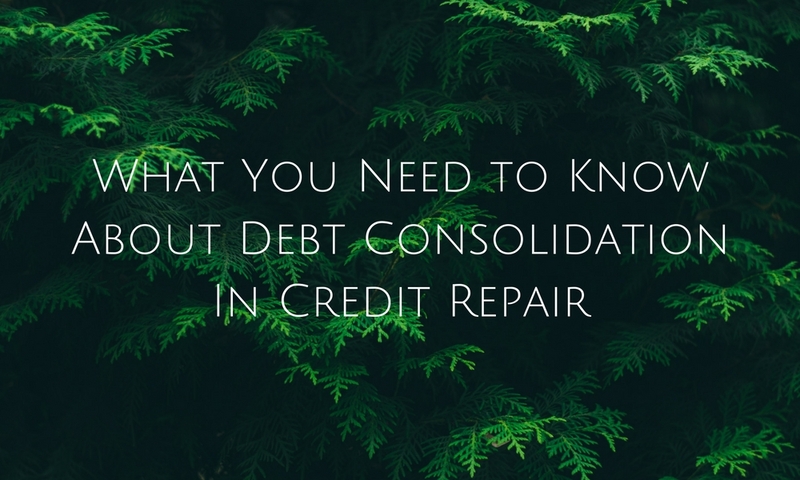 Here’s everything you need to know about debt consolidation in credit repair. Instead of paying off several loans with varying interest rates, in a debt consolidation procedure, the balances are collected together in a single loan with a lower or fixed interest rate. Lenders may offer both unsecured personal loans and asset-based secured loans, and the most frequently used collateral for the second choice is a borrower’s home equity. For instance, let’s say your family currently has $35,000 of unsecured credit card debt. Even though you can afford to meet the minimum monthly payments, the variable interest rates on each of your different credit cards makes it hard to proactively pay off debt. You might choose to use your house as collateral to get a $45,000 loan with a fixed interest rate. A home equity loan might then allow you to pay off the credit card bills and focus just on one single loan. If you choose to consolidate the debt by taking a personal loan to pay off the cards, your utilization ratio could go down, thereby raising your score. This method—in order to work—requires you to leave your credit card accounts open after you pay them off. But your credit rating could go down if an underwriter has reason to feel you could quickly rack up brand new debt on the open (and now balance-free) credit cards. You might also opt for a credit card instead of a loan. 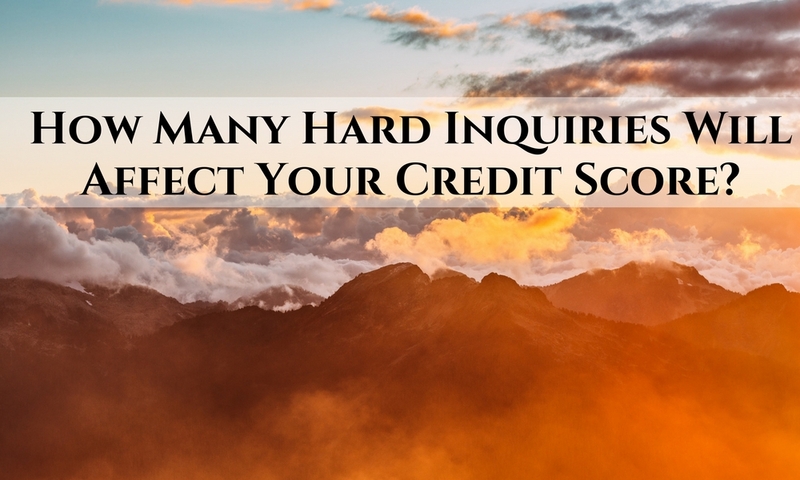 All the same, you are applying for brand new credit, and that translates into a “hard” inquiry into your credit. Anytime that occurs, it takes a toll on your credit score. Your credit score partially depends on your credit utilization ratio (the amount of debt you carry as compared to the total amount of debt available to you). If every one of your credit cards is maxed out, opening a new one increases your available debt and makes your utilization ratio dip. That could help your score. However, your score will sink whenever you have a high balance on any one card. Thus, if you transfer several balances to one card and approach (or even reach) your credit limit, then your score will suffer even if all your other cards are paid off. No matter the type of loan, the goal is the same throughout: one loan with one payment. Paying more money over time. Aside from lower interest rates, debt consolidation loans can present long payment terms. Although you might be paying less per month, the years added to your loan’s life will probably lead to you paying more overall. Racking up more credit debt. Some people pay off their cards with a home equity loan—only to run those balances back up later on. Unless you’re completely committed to changing your spending habits, do not consolidate your revolving debts with this method. Losing the house. Secured loans can be preferable to unsecured ones, but to ensure this is a good choice, guaranteed repayment is a must. Unpaid credit card debt is subject to collections, while an unpaid home equity loan is subject to foreclosure. Think about your finances prior to risking your entire home. Plateaued interest rates. The goal of debt consolidation in credit repair is to pay less per month and get a lower interest rate. Unfortunately, it could be hard to pin down a rate that solves all your financial issues. Unless your debt is currently attached to sky-high interest, it might be best to forgo debt consolidation. Need to know more about debt consolidation in credit repair? Let us know! To enlist the help of a trustworthy, effective credit repair company, contact Go Clean Credit today. Dealing with a bad credit score is already enough—but what if you get scammed? Follow this comprehensive guide to learn how to avoid credit repair scams and bump your credit to a healthy score. If the credit repair company asks you to pay for their services before any services are provided. The law prohibits credit repair companies from charging upfront fees. The company does not inform clients about their legal rights, and the free-of-charge actions they can take themselves to boost their credit first. If the credit repair company recommends that their clients not contact a credit bureau directly, including Experian, TransUnion and Equinox. It’s your credit information, and you should contact them directly when there are issues with YOUR credit. The company suggests that clients should attempt to create a “brand new” credit report by applying for an Employer Identification Number (EIN) to use instead of their Social Security Number (or if they promise to do so themselves). The company advises consumers to dispute any and all items within their credit report, or to take any kind of action that seems illegal. This could mean creating a new credit identity. This translates into committing fraud, and you could find yourself subject to prosecution. 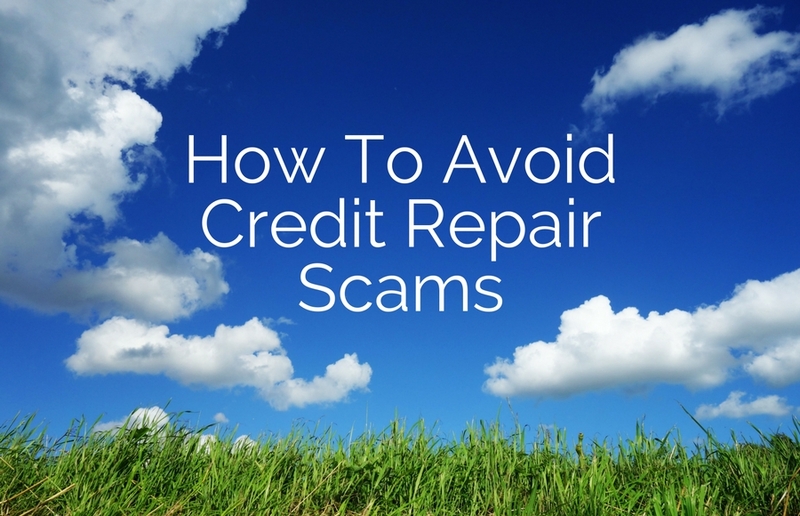 This is one of the biggest things to note when it comes to how to avoid credit repair scams. If they claim that they can boost your credit scores, without any specifics. If they refuse to give you a copy of the contract before you sign. Also, if the contract is missing information, such as the amount of payment that will be required; a specific description of the services they will perform; an estimated time length it will take to carry out the credit repair services; and a form to provide notice of cancellation. If they fail to mention that you have the right to dispute credit information, and that you can pull your credit report without their help. If they fail to tell you that you are allowed to cancel within three days. If they tell you to sign a form waiving your rights under the CROA. Luckily, the CROA voids any sort of waiver of rights the credit repair company signs. If they fail to give you a date by which their credit repair services will be completed—and what specific services they will provide. If they refuse to tell you precisely how much you will be charged for the credit repair help. You DO have the right to file a lawsuit against a credit repair company if they violate the provisions of CROA. Furthermore, you may be entitled to actual and punitive damages and attorney’s fees for violations. You should typically receive a copy of the “Consumer Credit File Rights Under State and Federal Law” letting you know your rights to get a credit report as well as dispute inaccurate credit information on your report. All credit repair organizations are required to inform you that you can perform these services on your own. Do you have any extra tips on how to avoid credit repair scams? Let us know! Is a credit score of 545 good or bad? 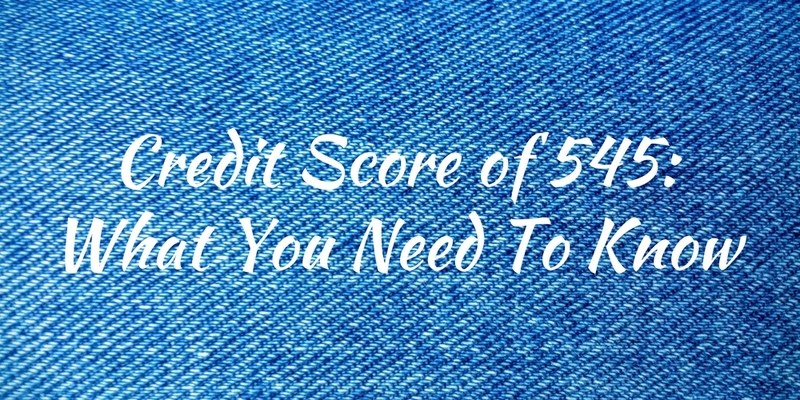 What does a credit score of 545 mean? Brace yourself for some bad news… If you have a credit score of 545, you have what’s considered “poor” credit and are in need of credit repair ASAP. As a general rule, credit scores below 619 receive the worst interest rates on home loans, auto loans and credit. The effects can really take a toll on a person’s life – and it might be worse than you think. 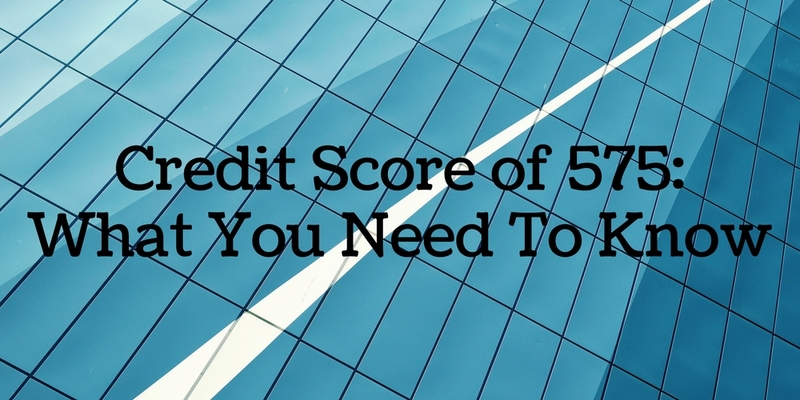 What does having a credit score of 545 mean for home loans, car loans and credit cards? How do you improve a 545 credit score? Is it possible to get a loan with a credit score of 545? We will answer all of those questions and more—so read on. Buying a car with a credit score of 545 is a possibility, but you’re most likely going to have to deal with an extremely high interest rate. People with bad credit – if approved for a loan – are always offered higher interest rates than someone with a credit score even 80 points higher than their score. What is the interest rate for a credit score of 545 on a car loan? The average amount borrowed by car buyers is $27,000, according to Melinda Zabritski, Experian’s senior director of automotive credit. When you factor in the three common types of auto loans available in myFICO’s loan savings calculator – 36-month new auto loan, 48-month new auto loan and a 60-month new auto loan – you’ll get a good idea of how much more an auto loan will cost for someone with a credit score of 545 versus a credit score of 625. So you’re telling me that an 80-point difference in credit scores results in a difference of $4,439—for the same car? Yes, that’s exactly right. Getting a car loan with a 545 credit score is going to cost you a lot more. On a 36-month new auto loan, it’ll cost you $2,547 more. On a 48-month, $3,485 more. On a 60-month auto loan, it will cost you a whopping $4,439 more. In other words, if your scored changed to a 625—just an 80-point improvement—you would save thousands of dollars on your loan. It’s worth it to pay a company like Contact Go Clean Credit to restore your credit before you take a test drive. Let’s say you are a first-time homebuyer with a credit score of 545. Can a credit score of 545 buy a house? For most mortgages you need to be above a 620 credit score, but there are a few loans out there that go down to 545 for FHA. However, other parameters get harder (life debt to income), so it makes it pretty hard to qualify below 620. Let’s say that you may qualify for a FHA loan with a credit score of 545. As you’ll see in the charts below, a low FICO score increases the amount of money you will end up spending on a loan throughout the course of its life. So, can a credit score of 545 get a mortgage? Maybe. But is it worth it? Getting a mortgage with a credit score of 545 will add an extra $105,480 over the course of the loan than someone with a 721 credit score. The interest rate for a credit score of 545 will increase the monthly mortgage payment by $183 more than someone with a score 75 points higher, at a credit score of 620. What’s the best credit card for a score of 545? Unfortunately, if your credit score is a 545, you will not qualify for an unsecured credit card. Any credit score above 600 may qualify for an unsecured card – depending on the type of credit card you’re applying for. But if your credit score starts with a “5” and ends in two numbers (“45”), then you will only qualify for a secured credit card. What’s a secured credit card? It means that you will be required to make a minimum deposit in order to open your credit card. Go Clean Credit continually evaluates credit offerings and currently recommends these Secured Cards for people with a credit score of 545. We have seen up to a 40-point increase in credit score just by opening one of these cards. What happens to your APR for a credit score of 545? Here’s a chart illustrating the differences between annual fees and interest rates between someone with good credit and a credit score of 545. Just how bad is a credit score of 545? As we’ve seen in the sections above, this score impacts every aspect of your financial life. Mortgages, auto loans and credit card interest rates are all dramatically higher than they would be if you had moderate credit. If you would like to improve your credit score of 545, there are a few ways you can go about it. Is a credit score of 575 good or bad? What does a credit score of 575 mean? Brace yourself for some bad news… If you have a credit score of 575, you have what’s considered “poor” credit and are in need of credit repair ASAP. As a general rule, credit scores below 619 receive the worst interest rates on home loans, auto loans and credit. The effects can really take a toll on a person’s life – and it might be worse than you think. What does having a credit score of 575 mean for home loans, car loans and credit cards? How do you improve a 575 credit score? Is it possible to get a loan with a credit score of 575? We will answer all of those questions and more—so read on. Buying a car with a credit score of 575 is possible, but you’re most likely going to have an extremely high interest rate. People with bad credit – if approved for a loan – are always offered higher interest rates than someone with a credit score even 80 points higher than their score. What is the interest rate for a credit score of 575 on a car loan? The average amount borrowed by car buyers is $27,000 – according to Melinda Zabritski, Experian’s senior director of automotive credit. When you factor in the 3 common types of auto loans available in myFICO’s loan savings calculator – 36-month new auto loan, 48-month new auto loan and a 60-month new auto loan – you’ll get a good idea of how much more an auto loan will cost for someone with a credit score of 575 versus a credit score of 655. Yes, that’s exactly right. Getting a car loan with a 575 credit score is going to cost you a lot more. On a 36-month new auto loan, it’ll cost you $2,547 more. On a 48-month, $3,485 more. On a 60-month auto loan, it will cost you a whopping $4,439 more. In other words, if your scored changed to a 655—just an 80-point improvement—you would save thousands of dollars on your loan. It’s worth it to pay a company like Contact Go Clean Credit to restore your credit before you take a test drive. What’s the best credit card for a score of 575? Unfortunately, if your credit score is a 575, you will not qualify for an unsecured credit card. Any credit score above 600 may qualify for an unsecured card – depending on the type of credit card you’re applying for. But if your credit score starts with a “5” and ends in two numbers (“75”), then you will only qualify for a secured credit card. What’s a secured credit card? It means that you will be required to make a minimum deposit in order to open your credit card. Go Clean Credit continually evaluates credit offerings and currently recommends these Secured Cards for people with a credit score of 575. We have seen up to a 40-point increase in credit score just by opening one of these cards. What happens to your APR for a credit score of 575? Here’s a chart illustrating the differences between annual fees and interest rates between someone with good credit and a credit score of 575. Let’s say you are a first-time homebuyer with a credit score of 575. Can a credit score of 575 buy a house? For most mortgages you need to be above a 620 credit score, but there are a few loans out there that go down to 575 for FHA. However, other parameters get harder (life debt to income), so it makes it pretty hard to qualify below 620. Let’s say that you may qualify for a FHA loan with a credit score of 575. As you’ll see in the charts below, a low FICO score increases the amount of money you will end up spending on a loan throughout the course of its life. So, can a credit score of 575 get a mortgage? Maybe. But is it worth it? Getting a mortgage with a credit score of 575 will add an extra $68,040 over the course of the loan than someone with a 721 credit score. The interest rate for a credit score of 575 will increase the monthly mortgage payment by $79 more than someone with a score 75 points higher, at a credit score of 650. Just how bad is a credit score of 575? As we’ve seen in the sections above, this score impacts every aspect of your financial life. Mortgages, auto loans and credit card interest rates are all dramatically higher than they would be if you had moderate credit. If you would like to improve your credit score of 575, there are a few ways you can go about it. If you’re looking to bump up your purchasing power, it starts with increasing your credit limit. Whether it involves patience or a bit of persistence, you have options. Here are the top ways to increase your credit limit. Use your card regularly, and pay it off on time. Not only is this the best way to boost your credit score, it’s also one of the top ways to increase your credit limit. This way, your credit card issuer will see you have been using your card responsibly and paying off your card balance for each cycle with cash. It’s best to be conservative when requesting a limit increase, because your issuer will usually decide based on your credit and what type of a line increase you request. Don’t ask or expect for a doubling to your credit limit; try to stay between a 10-25% increase. If you ask for too much and get rejected from an increase, you may need to wait at least two or three months before requesting another increase. Don’t ask too quickly for too much of a limit increase. This could raise a red flag and you might be denied a credit limit increase. Most credit card companies automatically review your credit after about six months of card membership. If this doesn’t occur, you can call to request a limit increase—but don’t do it within six months of getting a new credit card. Be patient for an automatic credit limit increase. Issuers periodically review accounts to see whether customers should receive a limit increase. If you’re deemed eligible, your credit limit will automatically be boosted. 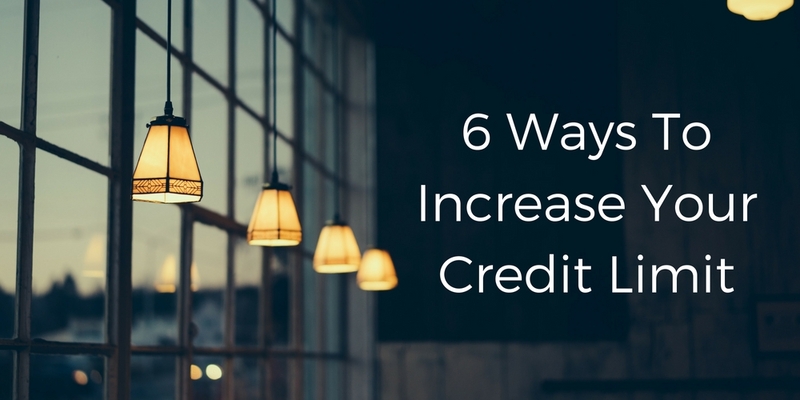 The best way to get an automatic increase is to make sure your account has relatively low credit limits. The higher your limit, the less likely it is that your credit issuer will increase it for you. If you have multiple cards, only request an increase on your best card. Never request limit increases for all of your credit cards. When you ask for a limit increase, the issuer pulls your credit report. That inquiry in itself can cause a temporary dip in your credit score. Also, if credit card companies notice multiple hits on your report from other card issuers, it could signal a red flag of you being desperate for money. A nervous issuer, as a result, will be less likely to boost your limit. Explain your reasoning for wanting a higher limit. State your case. Remind the card issuer that you’ve been a longtime, loyal customer. Show them your strong payment history, and show that you take responsibility with your credit card. Has your household income recently increased? Make sure you mention that, too, as well as the logical reason for requesting more credit. Perhaps you travel frequently, or you’re hoping to start paying more bills with a credit card. You might even be looking to earn rewards for purchases—whatever the reason(s), make sure to lay out your case. Cautiously transfer credit card limits. Use this method with caution; it’s more tedious and could potentially negatively impact your credit score. Many credit card issuers let card holders transfer some of a card’s limit to another credit account, so long as both cards derive from the same issuer. For example, if you have two different Bank of America cards (each with a $2,000 spending limit), you can transfer $1,000 from one card’s credit limit to the other account. However, if you choose to close the new card not long after moving over the spending limit, it will probably damage your credit score. What tips do you have for ways to increase your credit limit? Let us know!